where likely you were taken to blow into the Breath test machine. The breath test room is under video surveillance and you can make a public records request to obtain that evidence. Bothell DUI Arraignments In Bothell, DUI arraignments usually start as scheduled. The judge generally comes out on time, so you should be on time too. The City prosecutor are Rhonda Giger and Paul Byrne, your attorney will check in with them and your case will be call likely in the order that you were checked in. Almost everyone enters a plea of not guilty at arraignment. The judge will set your bail and/or conditions of release. Be prepared that even a first offense if the breath test results are “high” the judge may order an ignition interlock device or a scram bracelet. Once the not guilty plea is entered the judge will set pretrial and trial dates. Bothell DUI Pretrial This is the next court date. Between the arraignment and the pretrial conference your attorney should have time to negotiate with the prosecutor and investigate your case. Often there may be more than one pretrial, however the Presiding judge in Bothell, WA likes to keep the calendar moving. You may need a good cause reason to continue after the second or third continuance. If you reach an agreement with the prosecutor you may be able to change your plea and resolve your case at the pretrial conference. However, if not agreement is made your case may be set for motion hearings and trial. Bothell DUI Motion Hearing Not much different than any other court, but this will be a hearing likely where the arresting officer is present. Your attorney will have a chance to cross examine the officer and argue for evidence to be suppressed or your cased dismissed. If your case is not resolved at this point, you will be off to trial. 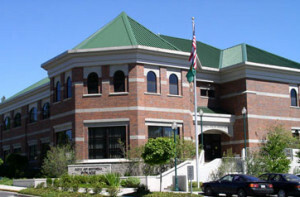 Bothell DUI Trial A DUI trial in Bothell is a jury trial, where six people from the local community will hear evidence and decide either you are guilty or not guilty. It is the prosecutor’s burden to prove all elements of the DUI charge against you beyond a reasonable doubt. According to Bothell local court rules (BTM-CrRLJ 4.5 (a)) your attorney must confirm trial with court clerk by 3:00pm two days prior trial. DUI trials usually last between one and two days. Make sure you make arrangements in regards to work, child care and other such responsibilities. 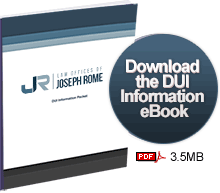 The purpose of this article is to give you basic general information about the procedures of Bothell Municipal court DUIs. This is simply an overview and you should consult with an attorney to get advice about your specific case and situating. If you have been arrested for a DUI in Bothell we are happy to meet with you and provide you with a free initial consultation. Please to hesitate to contact us.